Lauren works on Google’s government relations team, where she executes campaigns and political outreach on issues which intersect policy, politics and technology. She also leads Google’s Community Affairs and giving for Canada where she’s worked extensively with non-profits and civil society on promoting and encouraging STEM, particularly computer science, among under represented groups in Canada. 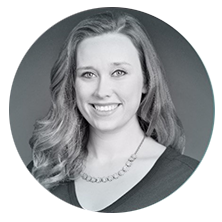 Prior to joining Google, Lauren worked on the policy team at the Federation of Canadian Municipalities and as a consultant at Harris/Decima. She is an active member of the Dovercourt Recreation Association Board. She is a graduate of the London School of Economics and Concordia University. Lauren grew up in Vancouver but now lives in Ottawa with her husband and son.